Fall is at our doorstep. As Canadians, we embrace the change in seasons and are lucky enough to experience one of nature's most beautiful show of colours. A time when vibrant reds, burnt oranges and yellows the colour of sweet corn begin to sprinkle throughout our giant leafed friends. Just like the beautiful season of autumn, this month’s Round-Up is short and sweet. Our focus has been primarily on finishing up our Ottawa destination, which we’ve now completed - hooray! And on the design of our Niagara destination. Most importantly however, we’ve welcomed 95 new members to our growing community of Canada Builders and sent them all their official investor package! Thank you again to each and every one of you, we hope your mini mail found you well. On that note, we have a number of additional investors come aboard for our extended close. There is still time to invest with us and own a little piece of this country you love because we’ve extended the small investor campaign until September 15th. Read below for more information about the investment process and perks you receive! As mentioned, with Ottawa now complete, the team is focused on the design of our Niagara destination. We're also deep into the search and selection of our attraction's permanent location in downtown Toronto. I'm sure you're all anticipating where our forever home will be and so are we! There are many little goodies to report back in the coming months. 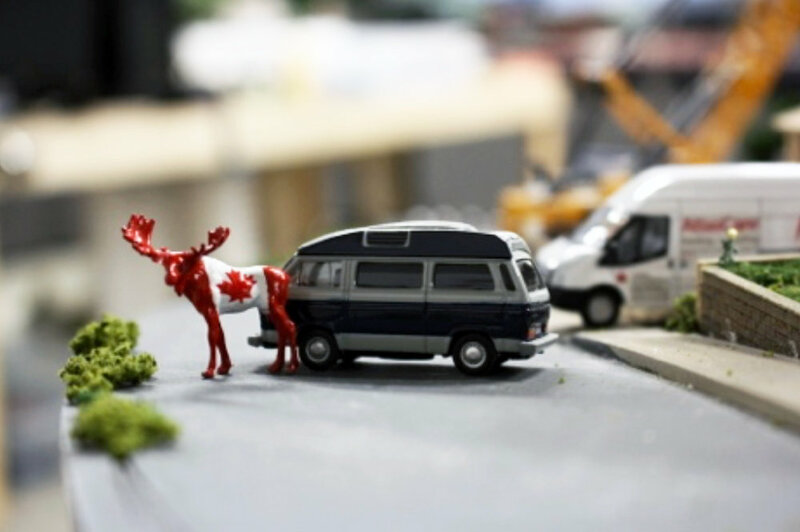 We want to thank all our investors again for joining our community of miniature Canada Builders. 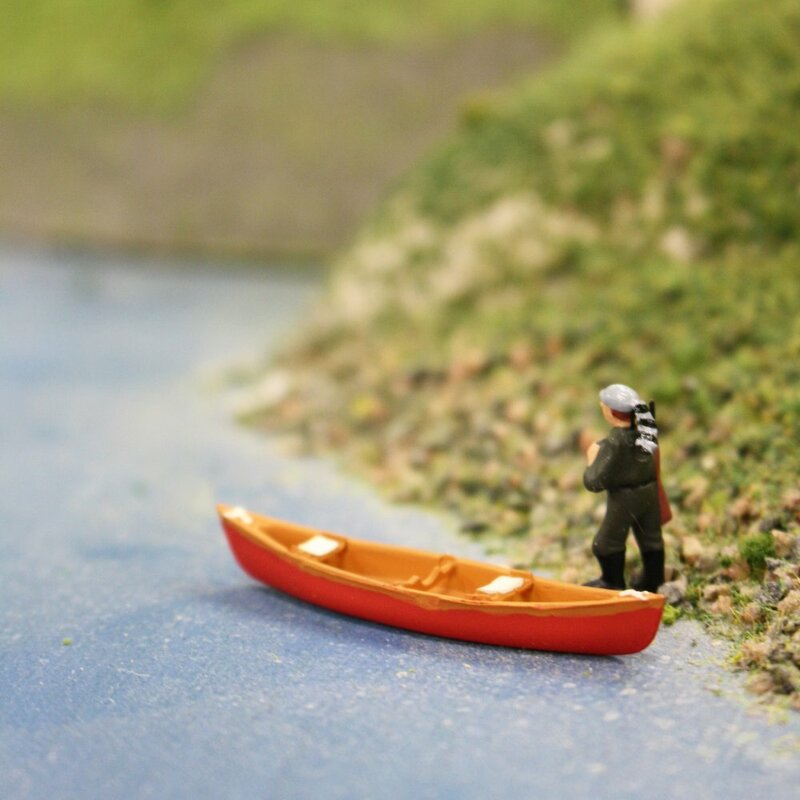 With your support and investment, you’ve brought us a big step closer to our goal of building an immersive journey of discovery through Canada in miniature. We love seeing the photos you’ve shared of the investor package so we’ve included some of them in this month’s Round-Up. Thank you to investors Warren Thwing and Linwood Barclay for the great shots! Chop, Chop! Time is running out. For those who have been toying with the idea of investing, there is still time! We’ve extended our FrontFundr campaign until September 15th, that’s this Saturday! Invest in any of our 6 Levels, from $1,000 to $50 thousand and receive fantastic perks like VIP tickets to the attraction and your own 3/4” mini-me that will live forever in our world! Imagine placing yourself on the steps of Parliament Hill or the top of Clifton Hill overlooking the roaring Horseshoe Falls. That could be you! Visit our FrontFundr page for more information about investing with us. Farewell to a great Canadian Summer. Buckle your seat belts and join us as we follow Maurice on a road trip across our mini Canada. No obstacle big or small will stop him from achieving his goal of uncovering the hidden treasures that lie within Our Home & Miniature land. With wide eyes and a hopeful heart, he heads on his road trip of discovery.